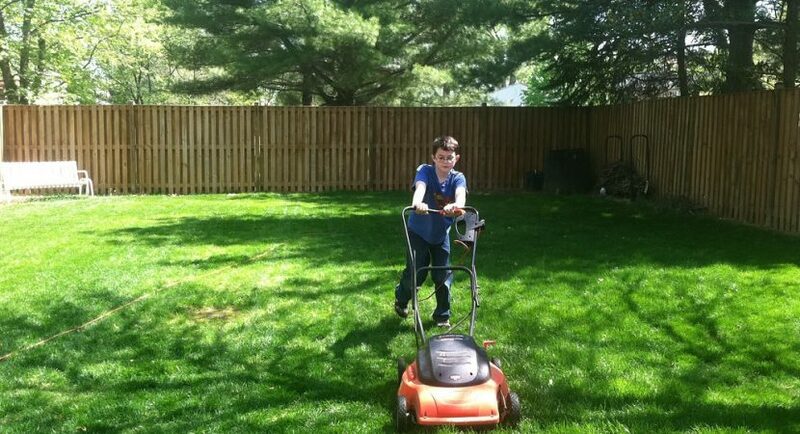 As a kid, if you were told to mow the lawn, you hated it. After all, why would anyone want to spend time cutting their grass? Why not let your yard turn into a jungle and you can be an explorer as you walk outside? Well, there are a few reasons. Pests, the homeowner’s association getting mad at you, and plus a mowed lawn is aesthetically pleasing. However, plenty of adults are not mowing their lawns, either. They may live in an apartment where they don’t have to mow the yard,or they may call a professional to help mow the lawn. While we can’t fault them, there are many mental health benefits when it comes to mowing the lawn. Here are a few of them. There are many types of mowers. You have gas, electric, manual, push, and ride on. When you’re using a push mower, and especially a push reel mower, you’re getting quite a workout. Exercising is beneficial in many ways, not just for the body, but for the mind as well. You’re releasing endorphins, a chemical that is associated with painkilling and feeling good. So if you want to feel better, why not give a mower a try? Life is stressful, and sometimes, you just need to meditate and think about life. The mowing process can be quite contemplative. Think about it. The loud, ambient noise of the mower if you have a loud one. Watching the grass get chopped up. The smell of the grass as it’s freshly mowed. Your thoughts as you mow the lawn. There are definitely calming properties to mowing the lawn, and someone who is mowing it can think about what to do next in life. There’s been a phenomenon known as liking stuff that is satisfying. There are satisfying videos, which show things being created, destroyed, or mixed in a perfect way. When your lawn goes from overgrown to freshly cut, there is definitely something satisfying about that. We say try it out and see what we mean. You can feel at ease as you chop up your lawn. If you’re suffering from depression, you may have found yourself out of routine. That is one of the worst symptoms of depression and it’s something you need to fix by getting back in a routine. Dedicating a time each week to trim up the lawn can help you come back on a routine, and it’s definitely worth it to do so. Pick a time, try to do it, and keep doing it. Soon, you’ll have a routine and you’re going to be glad you did, as a routine is one step towards many in fighting depression. Not just mowing the lawn, but planting seeds, tending to a garden, and cleaning up the lawn can be satisfying. When you have a cluttered and messy lawn, that impact your mental health quite a bit. You should definitely make strides to take care of your lawn, and your life. Of course, if you’re dealing with severe depression or anxiety, mowing the lawn and doing similar tasks are easier said than done. You often need the help of a therapist, and thanks to online therapy, finding mental healthcare is easier than before. Sites like Regain can help mow the grass on your brain and help you get your life back on track. So talk to a counselor today.